Panda offers arrange of satisfactory protection from the free scanner to the Gold protection package. Panda 2017 comes with additional features all-inclusive even though competitors charge for the extras. The basic program is the most complete ever seen and comes with a two-way firewall to replace the Windows firewall, a virtual keyboard and Wi-Fi network scanner that looks for network insecurities and a browser extension that keeps your identity secure. It stops 100% of all widespread malware and 99.9% of new zero-day malware. Tests show that it has only one false positive detection compared to the industry average of six per month. 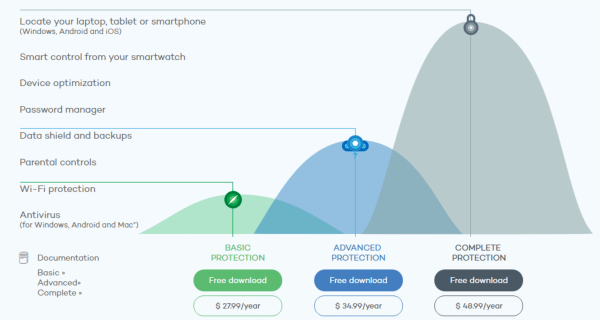 The Android antivirus program, battery life optimizer and extensions for Android smartwatch are all included. And if you have an iOS and Android device, you can tag a lost or stolen device on a map. Panda Security has been in the business of building antivirus software since as far back as 1990. The company offers web and computer security solutions for both home and enterprise. 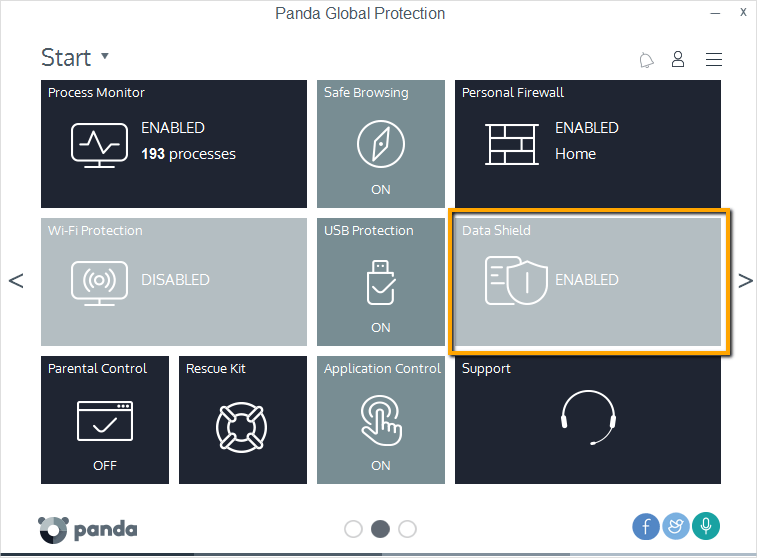 For home users wanting an antivirus solution, Panda Security offers both a free and paid version of their software, but how does the latest version of Panda Pro measure up? It has collective intelligence technology making it able to provide immediate protection even against new threats. It uses TruPrevent, a technology that uses advanced behavioral analysis for protecting the user from new threats. Improved Panda USB Vaccine scans the USB drives for any infection when plugged in. Features multiple scan options and the powerful intrusion detection system. Online backup for up to 20GB. Backup for repairing a broken system. Extended PC tune up module. New improved protection with collective intellegence. Improved performance with 50% faster scan. Included Behavioral engine in Panda Free Antivirus edition. New Architecture based on Panda’s Cloud technology. Smaller Local Signature file – Now local signature file is smaller in size to reduce the installation time make it light. Firewall now includes Wi-Fi Network protection for intrusions and attacks. Rescue Kit to clean the virus in Safe mode in an infected system. Now you keep your sensitive Data safe from the hackers and attackers. New XMT engine with Cross Platform with PC, Mac, Android, iPad etc. New Data Shield Module to protected from ransom-ware and malware. Parental Control to keep an eye on your kids social activity. Unlike other antiviruses, Panda antivirus does not require burning or buying a CD for installation. Simply download the package directly into your PC or Android device. At the start of the installation, the 1.8MB installer does a compatibility test and malware check. And after inputting the activation code, it begins downloading, installing then updating. In the end, set up an online account. The program will want to change your default search engine and browser homepage. You need to uncheck the boxes before proceeding with installation to prevent this. Upgrading is also hassle free. You just have to uninstall older version and install the fresh newer version. If your subscription is still remain before renewal you can use the same old license key to upgrade your Panda Antivirus. If still there are issues in Upgrading, Installation or in Renewal. You can try removing the Panda Product completely from your computer using the Official Panda Antivirus Uninstaller tool and try installing it again. If problem still persists then Contact to direct Tech Support department of Panda Customer care to resolve your query. Panda Antivirus Pro is claimed to be an antivirus software that users can simply install and let their minds rest at ease knowing their computers are protected against unknown threats. This software works to not only defend against, but remove viruses, malware, and other such threats, offering real-time PC protection. In the 2015 version of Panda Antivirus Pro, a bidirectional firewall is included. This protects Wi-Fi networks from unwanted connections and other intrusions. The software also protects users from things like identity theft, online fraud, phishing, and the like. Panda Security has even been thoughtful enough to include a PC rescue kit, which is an emergency safe-mode disinfectant. The rescue kit works without even having to turn the PC on. Best of all, there’s no limit on usage for this rescue kit, allowing users of it to share the kit with others. To run Panda Antivirus Pro 2015 requires the 32-bit or 64-bit version of Windows 8, 8.1, 7 or Vista, or Windows 32-bit SP2 or later. Moreover the system mush at least have a Pentium k300 MH processor or faster, a minimum of 256 MB of RAM, and 240 MB of free space available on the hard disk. Supported browsers include IR 6.0 or higher, Mozilla 2 or higher, or Google Chrome. Such technical requirements won’t be a problem for most. Every paid product of Panda 2017 covers all the basics including malware, anti-phishing, the virtual keyboard prevents password collection by key logging malware. It also comes with a license for your Android Panda app. This protection slows down the machine and scans longer than other competitor’s products. It looks for the most pressing attacks but takes longer than similar antiviruses and is more taxing on system performance. The main window has a quick scan button for easy launch of a critical or full scan. You can add coverage to more devices right from the scan button. Panda 2017 lets the user adjust the interface by moving items around in the three-page feature. Panda 2017 offers reasonable protection against whatever the internet throws at your PC. It, however, puts a burden on h system due to slower scanning. This review shows what is new in Panda Security 2017 and its features including the choices from the free basic option to the Gold protection. The price rises as you escalate from the basic to the top. Its customizable interface makes using the program easy and fun since each person can change the user interface as wished. The product is priced at a starting price of $40 per year for a single PC, $60 for three PCs and $70 for five PCs. For an unlimited number of users, the price is $130 per year. See the below promos and offers to buy it in cheaper price. As like other companies Panda security also offers discount coupons to promote their products. Click here to find all the latest Panda Coupon Codes to buy Panda antivirus at lower Price. Thanks for all this great info. Its really very helpful.